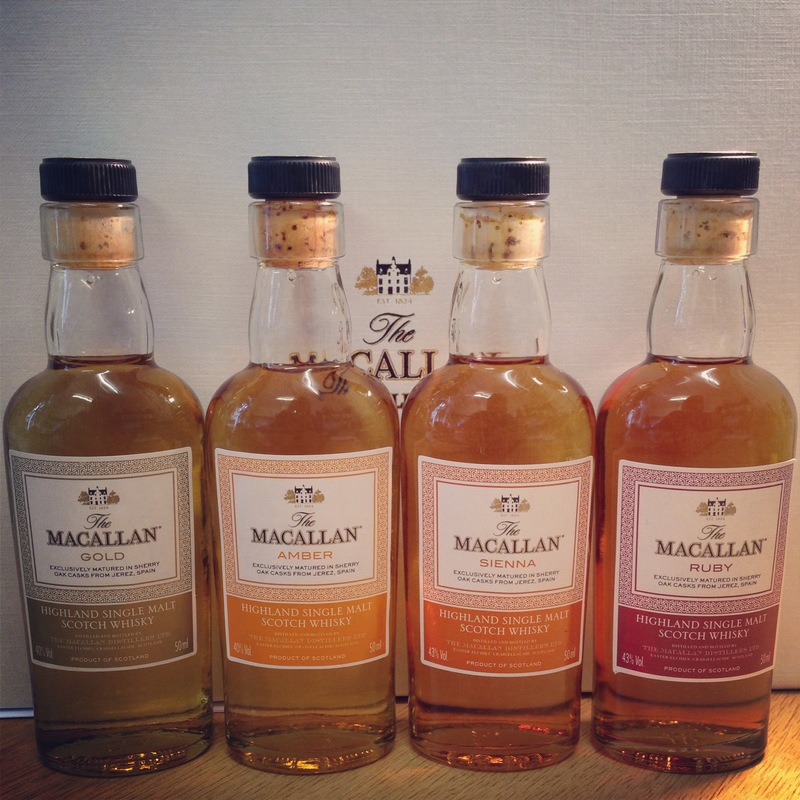 I’m lucky enough to have taken part in a Twitter Tasting that has focussed on The Macallan’s new 1824 Series, namely Gold, Amber, Sienna and Ruby. 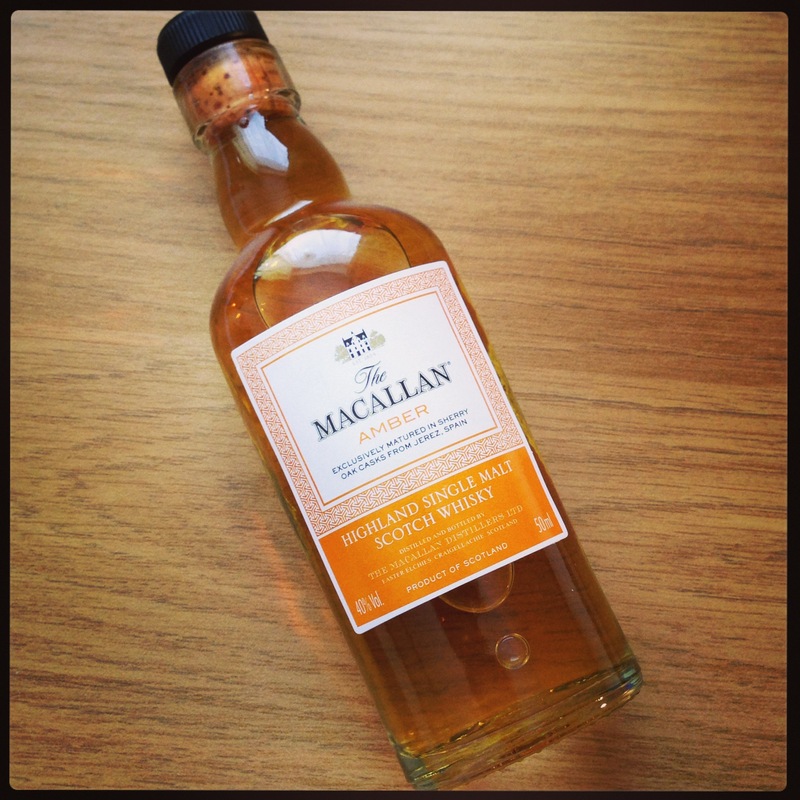 If you want to follow / review of the Twitter action then check out the #TheMacallan1824 tag. For the PR bits and bobs, please… click here for more info. The Macallan has unveiled The 1824 Series, a range showcasing two of its greatest strengths; oak sherry casks and natural colour. Grounded in an unwavering commitment to sourcing the very best oak sherry casks, the most expensive in the industry, The 1824 Series showcases the signature style of The Macallan, embracing the defining elements which have made it one of the world’s truly great single malts. This innovative approach to whisky making is the first to derive the final character from the natural colours drawn into The Macallan from the oak sherry casks over the years of maturation. It has allowed Bob Dalgarno to assess the broadest range of casks delivering an unrivalled range of natural colours. The casks chosen for the range deliver a gradation of colour from light to dark, with the wood character defining each expression’s flavour, moving from lighter, lemon citrus to richer, dried fruit notes. As the whiskies become darker and richer, so the pool of casks able to deliver this character becomes smaller and rarer. By drawing on his broadest range of skills in cask selection, Bob has been unshackled by the need to draw on casks selected first and foremost for their age. His expert skills ensure consistency through the effective management and selection of the casks which provide the spectrum of natural colour and character essential to The Macallan. 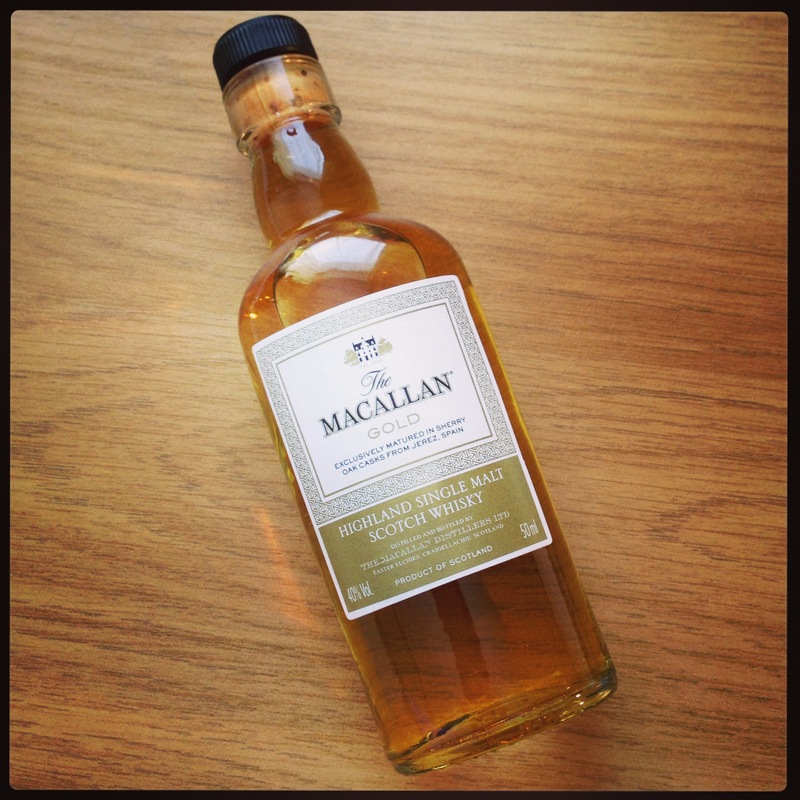 The Macallan Gold: 40% ABV – (NAS) Matured in refill & first fill Spanish & American oak sherry casks. It’s golden (light) in colour, hence the name! On the nose it’s also fairly light and gentle, subtle oaks and sweet citrus interlaced with sherry goodness. Kind of youthful and a little zingy… vanilla and chocolate notes. On the palate it retains the lightness that you found on the nose, it’s easy on the palate, smooth and easy drinking. A little youthful tasting with summery grass notes alongside oaks and chocolate sprinkles. There’s a pinch of spices, also green apples and other autumn fruits at the tail end along with maltyness. The finish is longer than expected, malty, sweet and subtle, small warming tickle on your chest and then a little dryness kicks in as it fades away. Pepper notes left in the glass. A drop of water is not needed, and too much would kill it, but a wee drop brings out a touch more sweetness and allows through more of the malt flavours. Over all, it’s a reasonable dram, at a reasonable price, but all in all it’s slightly forgettable. Around £33.10 from The Green Welly. A slightly more classic sherry nose here, slightly sweeter and still youthful but more grown up with malts coming through nicely, spices and fudgy goodness, red toffee apples eaten in a field of hey late summer. On the palate this is medium to light in oils, with a touch of older oaks to keep you happy while the sweetness of the malt and sherry influence comes through. Hold it on your tongue for a while and gentle spices come in waves to tickle your fancy (oo err). It’s really easy drinking again, and I could imagine sitting drinking a fair amount of this happily in an early evening summer breeze. The finish oddly seems shorter than the Gold, but it’s still great and has a good length (oo err again!). More of the sherry raisins goodness turn up and make a welcome presence felt. Warming on your chest, it’s a good dram and worth the extra tenner. Slight orange citrus notes left in the glass and the end. 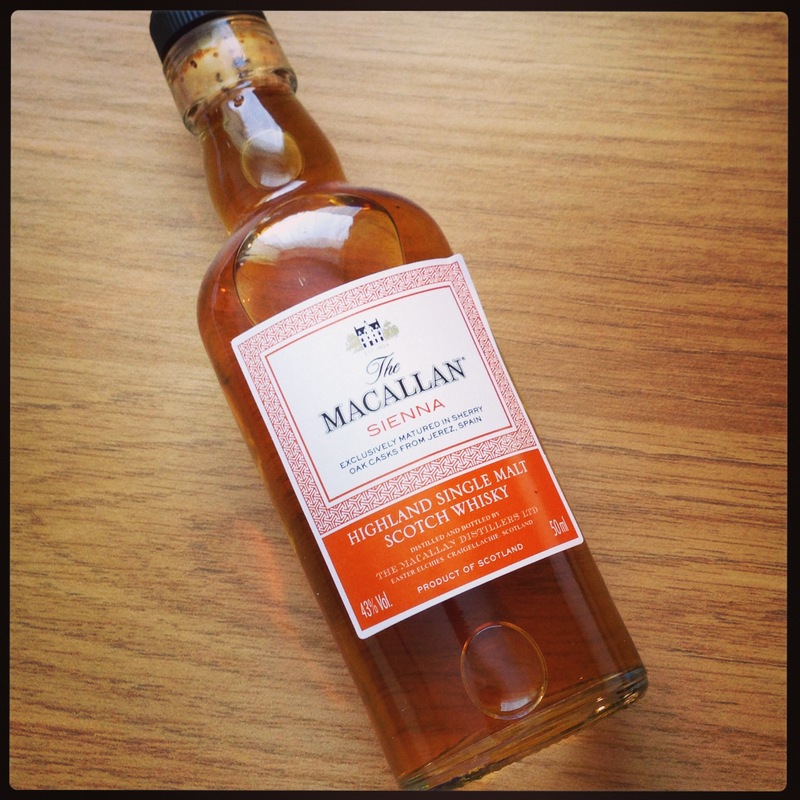 The Macallan Sienna: 43% ABV – (NAS) Matured in first fill Spanish & American oak sherry casks. On the nose this has a buttery creamy quality, thick sweet malty goodness where the bourbon seems to meet you first with the sherry playing catch-up just ever so behind, but soon taking over. There’s an oaky cask quality about this, did someone leave the hessian bung in the pot while it brewed? Followed by a zesty, slightly sharp fizziness, and buckets of summery fruits jumping around their autumn cousins. A nose that keeps you smelling! On the palate this dram is still silky smooth, medium oils in your mouth with just a sprinkling more of spice, mostly due to the slight hike in ABV, which is a welcome thing (although still quite low for the price point). Hold it on your tongue and the spices dissipate leaving the buttery creaminess that you found on the nose, it’s rich plum pudding with a small dollop of vanilla ice-cream that’s all melted down. There’s an almond finger (cake) stuck in the ice-cream for fun. The finish has a slightly refreshing quality to it, menthols at first, soon followed by younger tasting autumn fruits, ripe young sultanas and toffee. It’s quite long and warming, and very nice. A (small) drop of water works fine with this dram, it allows more fruitcake-sweet aromas out, but does soften the palate a little, which isn’t needed… doesn’t affect the finish though which is a touch sweeter for it. Available for £61.00 from The Green Welly. 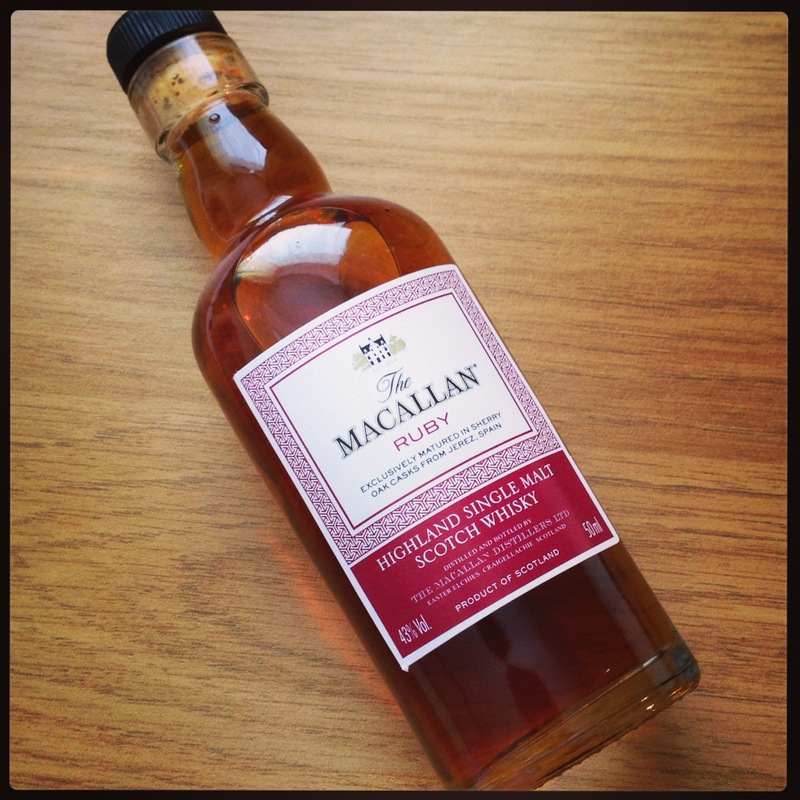 The Macallan Ruby: 43% ABV – (NAS) Matured in first fill Spanish oak sherry casks. They call this Ruby in colour, it’s certainly a deep golden rust that you’d usually equate to a well aged first fill sherry cask (as you can see above, that’s the case here). On the nose this is surprisingly spirity and youthful at first, as if it’s higher ABV than it is. Given a wee bit of time to calm down and open up it turns into a wonderful sherried dram, light and whizzy not dark and brooding with rich oaks and fruits playing nicely together but also with lighter malty moments amongst the brown sugars, nice, complex and full, a wonderful whisky nose. On the palate there’s an instant hit of oak that quickly subsides into fizzy fruitiness, late autumn to winter fruitcake type notes; hedgerow fruits stewed for pudding with lashings of vanilla custard. The oak then returns on the finish, which is long and brooding, a full and frank fruity mixture that I love, long, slightly drying and oaky at the end. It’d be nice to know what the age of some of content is! A great dram for the end of the evening, it’s memorable. A drop of water is not needed, but if you do, it brings out a white pepper note, increases the sweetness on the palate a touch and doesn’t harm the finish too much, so all in all, a wee dash recommended. Available from The Green Welly for £108.00. This entry was posted in Review, Whisky and tagged Macallan. Bookmark the permalink.